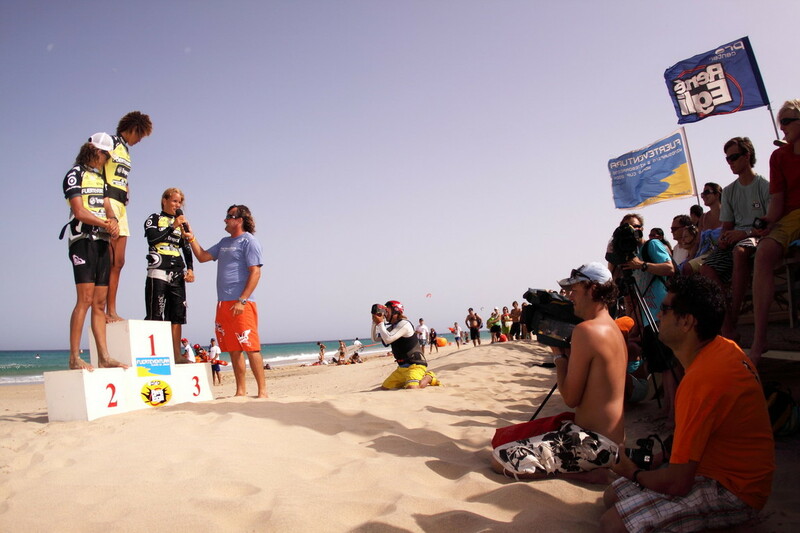 PWA Fuerteventura day 2 2009 - tombrendts jimdo page! The goal of the day was to finish the first Double Elimination of the Event which had started already yesterday and to start than with the next Single Elimination. The wind once again was hauling and the guys and girls rotated their 3,3 and 3,7 sails into their Moves. How high the Level was became clear when two Heats had to be resailed because of ties. 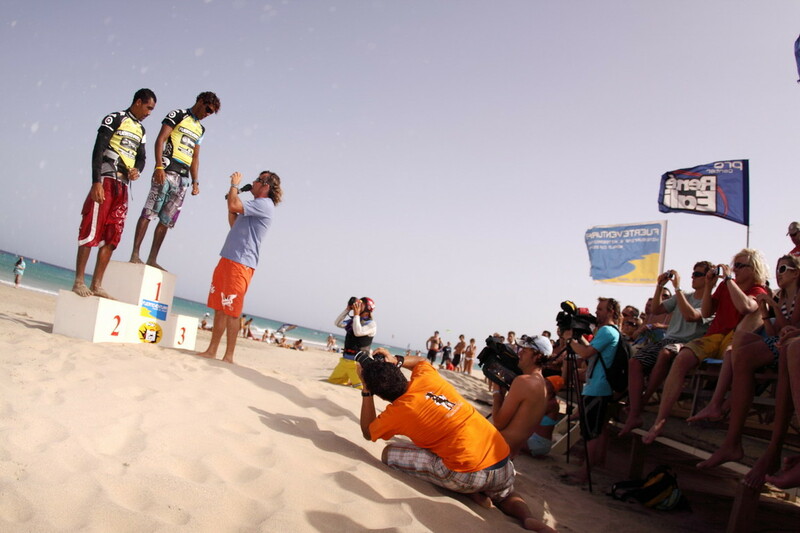 On form was belgium Steven van Broekhoven who adavanced even against Kiri Thode. Only Tonky Frans managed to Stopp him. Frans also kicked out Marcilio Browne in the next round to face Gollito Estredo in the Final which became a really hard and highest standard fight for the crown. With sick double Moves and Airfunnels, Burners and High Shakas it was Estredo who got the win after a close decision by the Judges. In the women double elimiantion it was surprisingly Wave girl Nayra Alonso who managed to kick out actual ranked No 2 in the world Junko Nagoshi and tahn an on form sailing Iballa Moreno. 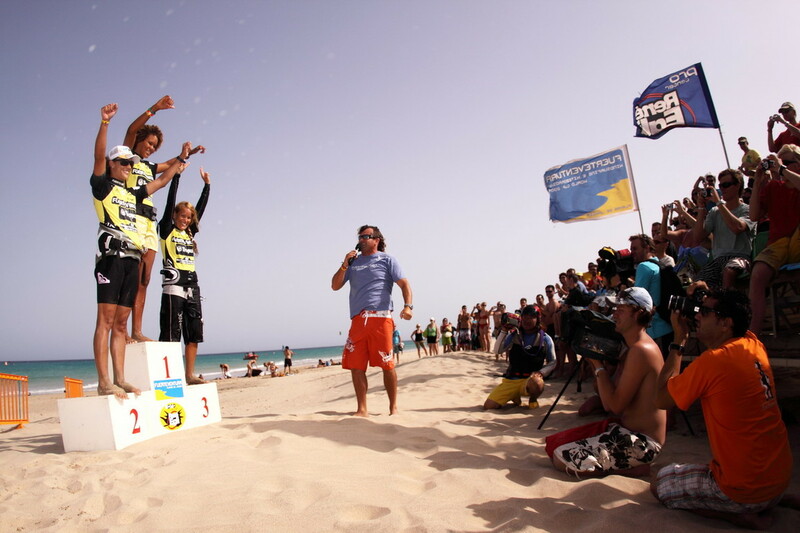 Only Yoli de Brendt managed to stopp the Canarian in order to defend her third Place. Unluckily de brendt had to sail against a Daida Moreno who was just on fire. It has been long ago that we could see such a perfect Freestyle Heat of the multiple Worldchampion. In the final against Sara Quita she couldn´t really repeat that Heat and the fact that Sara Quita went down to normal Spocks on the way out showed how hard the conditions of the day have been. Close to the Beach Worldchampion Quita Offringa rocked the beach and prefectly performed her Funnels, switch Chachoos and Punetas. More than enough to win that Double Elimination.